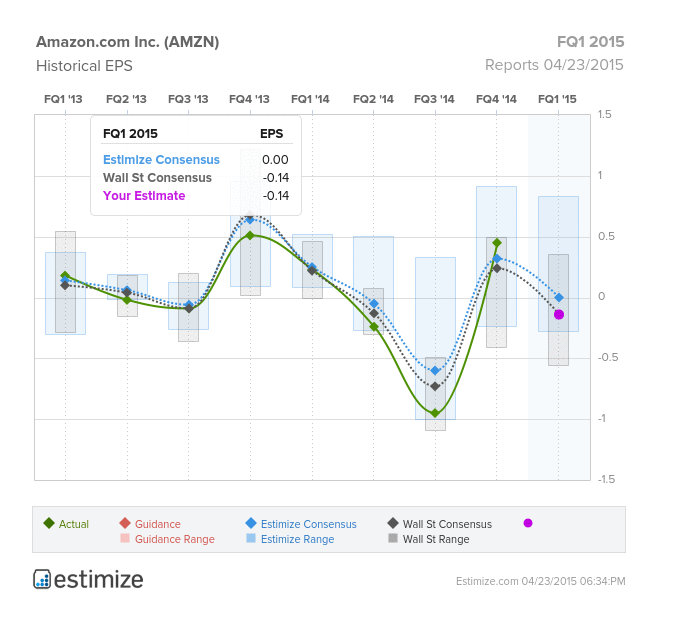 Estimize CEO Leigh Drogen recently discussed Amazon.com, Inc. (NASDAQ: AMZN) ahead of its earnings release. The Wall Street consensus was for EPS of $(0.14) on revenue of $22.417 billion, while the Estimize consensus was somewhat higher and currently anticipated EPS of $0.00 on revenue of $22.551 billion. Drogen acknowledged that Estimize EPS numbers had “not been very accurate” in recent years, however, it had been representative of how the stock had traded. From the revenue perspective, “the story’s not as good” for Amazon. Drogen continued to see declining revenue estimates, some of which could come from FX headwinds. Heading into its Q1 earnings release on Thursday, Amazon traded at $388.68, down 0.29 percent.